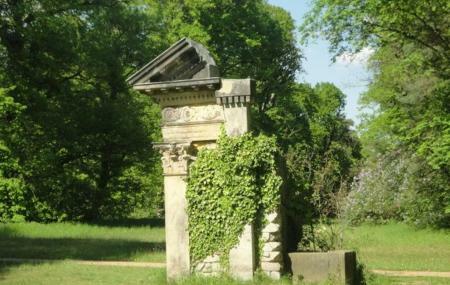 Pfaueninsel is basically an island located in the river Havel in Berlin- Wannsee. It borders Potsdam and Brandenburg. The park and the Palace of this island are quite famous and make for a great day spend in the outskirts of the city. The island is very beautiful and you can definitely plan to visit with your family if you are going for a long time. You can see the palace, the park and most importantly enjoy the feeling of being on an island while being in the city of Berlin. Also, visit the popular attractions in the city by following Berlin itinerary 4 days. Visit is possible only via guided tour. Last admission is 30 minutes before the closing hours. How popular is Pfaueninsel Park? People normally club together Heilandskirche Am Port Von Sacrow and Filmpark Babelsberg while planning their visit to Pfaueninsel Park. amazing little island! so much to explore, we really enjoyed the trip to the Pfaueninsel. We went in wintertime, i can imagine that i can be quite crowded during summer. anyway, definitely worth a visit! I like this island. Not very big but mostl quiet and nice nature. A little too crowded for my taste in special in season but ok... minus: Birds in cages... I would not need the birds. Pleasant couple of hours walking on the island. Crossing is easy with a regular ferry. One small disappointment: we only saw one single peacock walking around, which wasn't in a cage. Beautiful island. Take a walk, relax, and meet the peafowl. Nice place to haveba walk, to enjoy the landscapes and the nature.